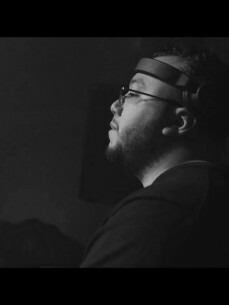 Aurelio is a NYC based DJ and producer who is bringing new and fresh energy to the techno scene. Living in NYC gave Aurelio unique exposure to a wide variety of music including Hip-Hop, Latin, Rock and Electronic. He uses these diverse musical influences to breed his own take on the modern techno palette. Aurelio masterfully blends the lines of electronic genres by embodying the best qualities of house, techno and trance. The organic sounds of house, the synthetic textures of techno and the euphoric melodies on trance are just some of the motifs that are incorporated into Aurelio’s music. As a DJ in NYC, Aurelio has circuited the local scene for the past 5 years to begin his journey as an artist. With shows at notable venues including Pacha NYC, Space Ibiza NYC, Verboten, Output and TBA, he has been able to bring his sound to a larger audience. 2017 saw Aurelio expand his domestic reach in the USA by traveling to Denver and performing at Beta Nightclub.